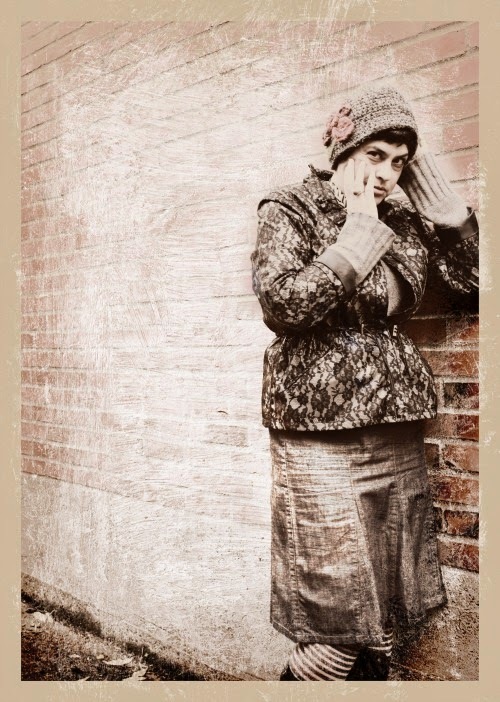 I'm a thoroughly modern woman, who is by all accounts, more than a little old fashioned. At least when it comes in being inspired by dress. I LOVE "Old Timey." Which, if think about it, was the epitome of MODERN, back in its day. What I look at fondly with a nostalgic glance, was once the rude cut of progress with more than a whiff of future written all over it. I've been watching my boyfriend play BioShock Infinite - perfectly post-modern in its gorgeous graphics and content, but such a marvelous mix of steam-punk aesthetics with sharp socio-political observations that hang from its storyline like a great science fiction novel. And possibly the tiniest bit of an inspiration for today's outfit. Check out this trailer for BioShock Infinite and tell me: have you, or would you play? Love this outfit! I love pieces that look modern and vintage at the same time. This all works so beautifully together...Just Right! Thank you Pseu! More and more I am drawn to timeless and classic pieces, and I am proof you still can rock the quirky! Not a gamer but what an interesting trailer for Bioshock. Wow. BioShock I know it well, Chris and I have both played it and I agree what a pretty dark game it is. I think your outfit is totally old timey and in the same vein as the game and what a neat yes I said neat style inspiration! Always love stopping by to see your photos .. they are so unique! you bring it all together so beautifully! Love the whole outfit but the boots and socks especially. They must be your signature pieces. Great filter work on the photos too. You look gorgeous, and I love that Oscar Wilde quote. I'm also enjoying some old-fashioned looks for this time of year - long skirts, boots. Even just buttoning a collar up all the way looks cool. I don't do video games, but the disclaimer saying it's not suitable for children made me interested! Amazing graphics! You look gorgeous, I love the contrast between the modern denim skirt & with the faux Victorian button boots. The effects are perfect, too. Wow Bella, awesome look! Love that hat!! Love the whole look, but I really am lovin' the boots. A woman after my own heart. Vintage but modern with a Bella twist. As usual, each photo is a piece of art! Love the outfit!! I adore the workmanship that vintage stuff has--so much was handmade! Oh, Bella, I simply adore these photos of you! 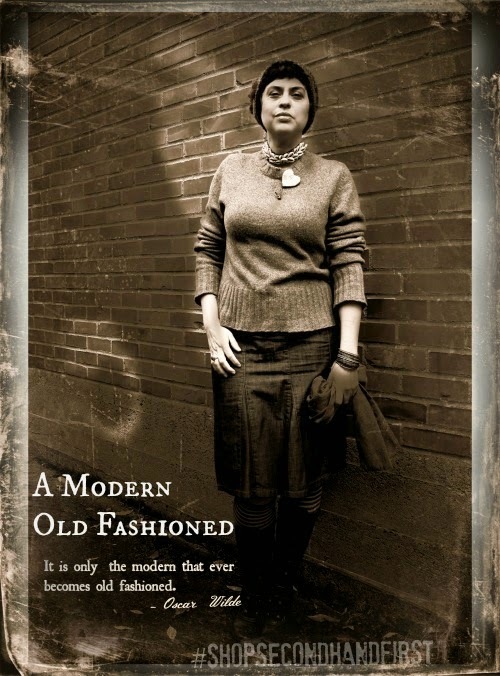 I am so with you on being modern and yet inspired by and in love with old fashioned. Yes, yes! Thanks for the mention! I have been so busy working on clothing and pins, actually, I have hardly had time to come up for air! I need to do some blog visiting! And the game -- creepy!! :) But in a beckoning sort of way! You are a real artist, Bella. I love the graphics you have done here - of course it helps that you look enchanting and alluring in each of the photos to start with. That old-timey vibe is transcendent. Great photographs Bella, as usual. You look adorable bundled up for Winter weather. I used to love playing Maple Leaf Rag on the piano when I was a kid :). Love your boots. A great investment! 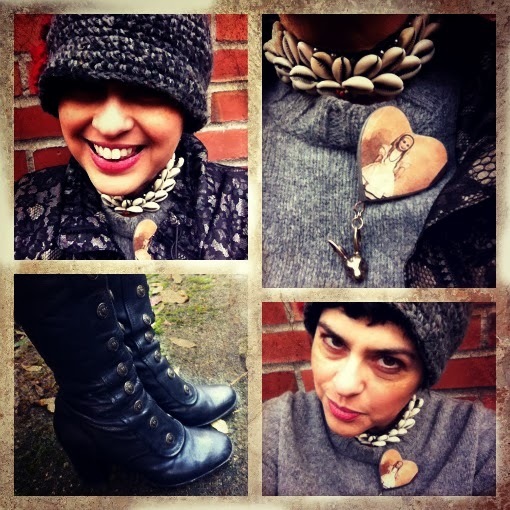 dear lady, love your pics, and love your steampunk inspired style!, such a delightful outfit!. I'm not a huge fan of playing videogames, and these one seems appealing but disturbing!, interesting! Each piece has such a great texture and silhouette, and together - wow! 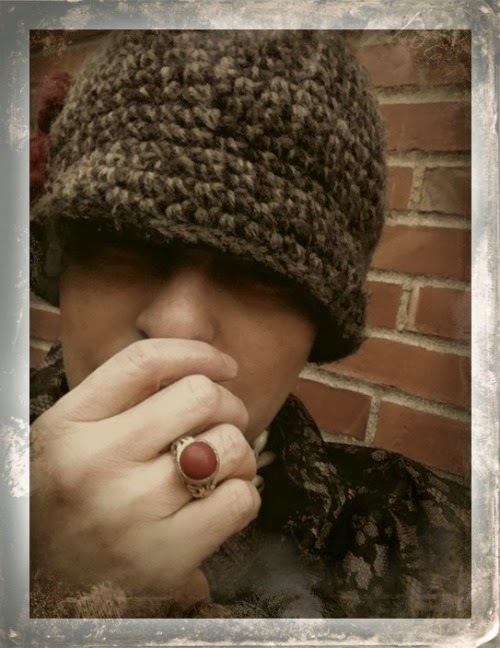 I love steampunk so much, love your inspired outfit - Love the hat, I'm presently doing some cloche hats- I hope it will look as good as yours!